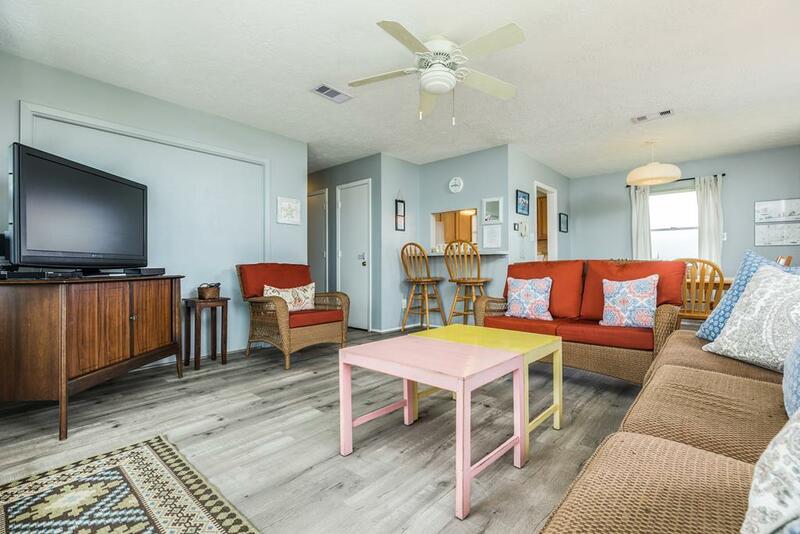 Single-level, pet friendly & beachfront! 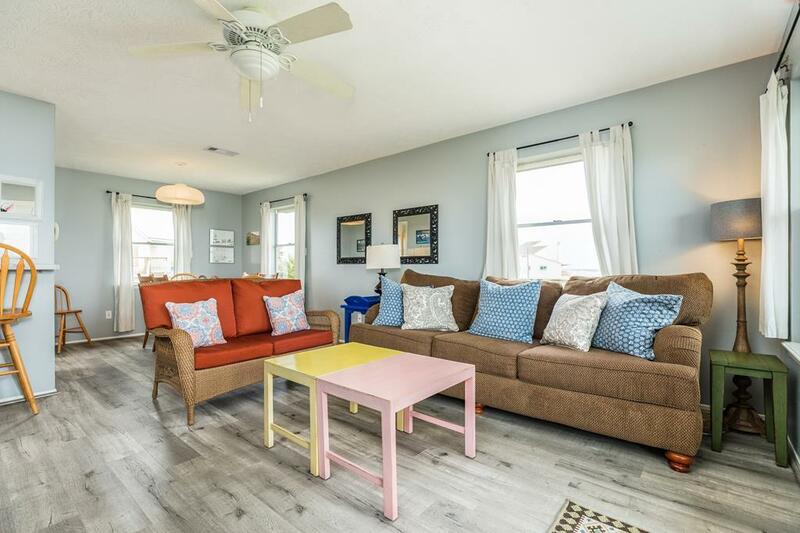 This budget-friendly classic beach house is a comfortably furnished and well maintained classic beach house. 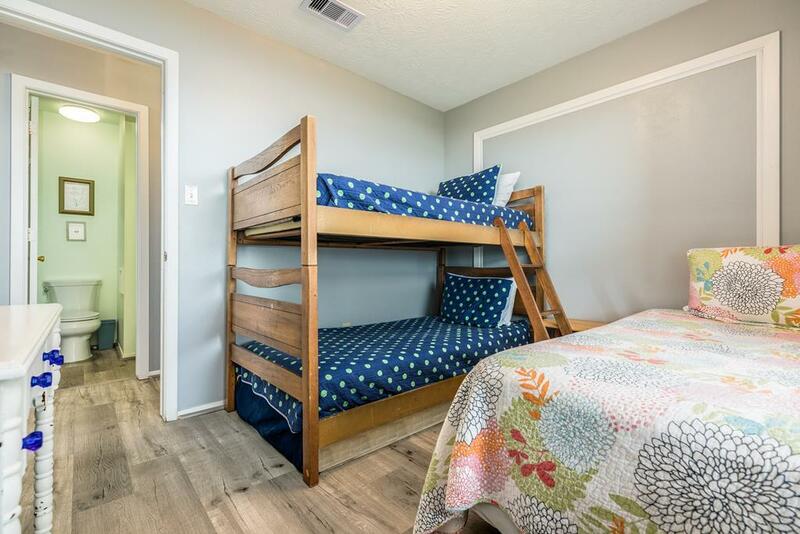 Two queen bedrooms and cozy third bedroom with a bunk and twin bed make this the perfect choice for families with children. Ready to slow down to the pace of island life? 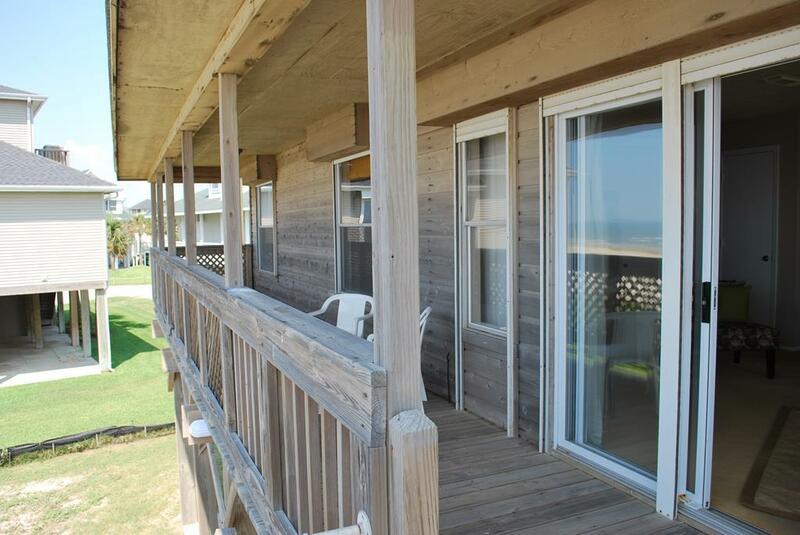 Enjoy a cool beverage on the covered deck or walk a few steps to the beach access for fun on the sand! 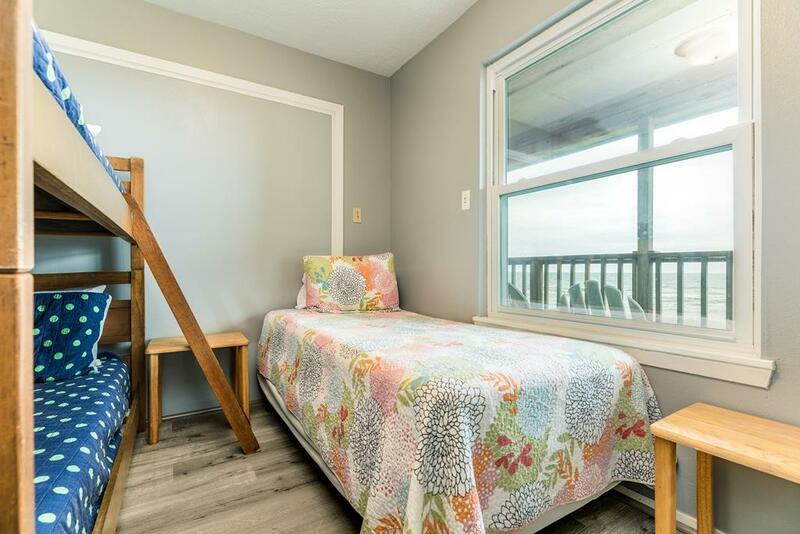 Features include: Beachfront-great view of the Gulf; 1 Level of Deck (covered); Central A/C & Heat; Dog Friendly; one TV; WiFi; outdoor shower on ground level. Small but nice. 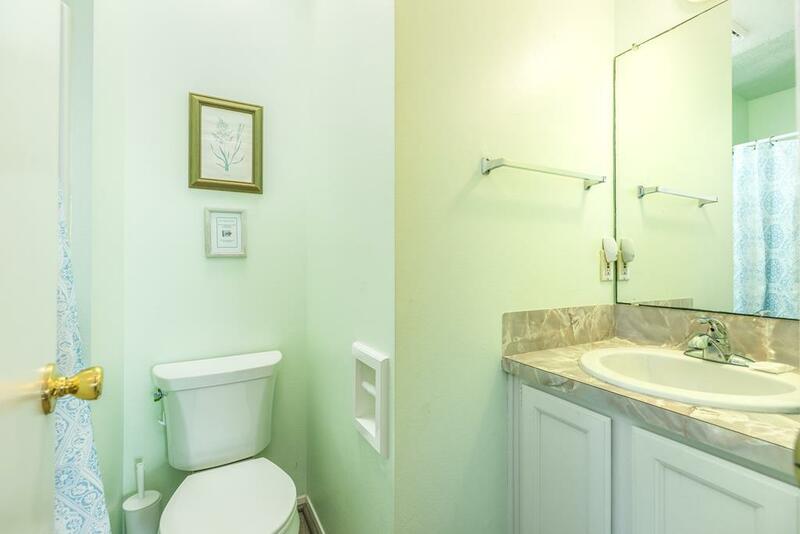 Not much storage space, no linen cabinets or shelves for towels and other bathroom items. Good house for short stay. Access to the beach for handicapped people is not good. Golf carts get stuck in the deep sand when trying to get on the beach. 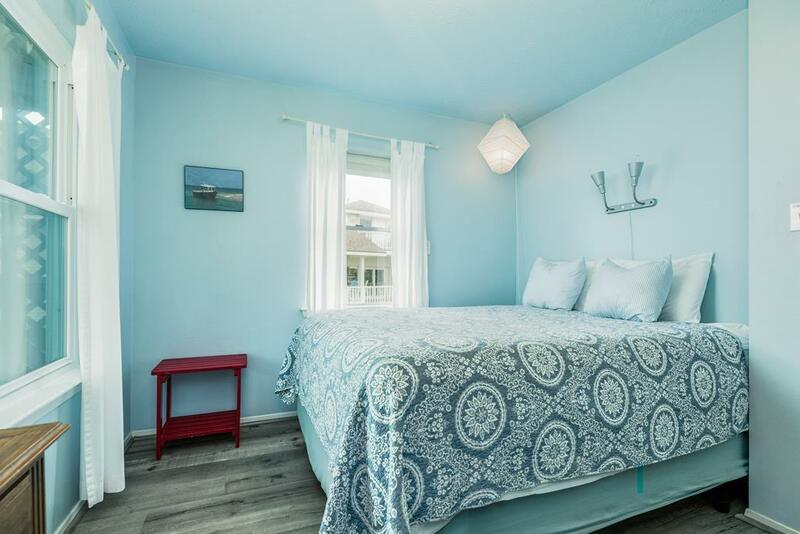 The cottage is an awesome place to stay for a relaxing vacation with the whole family. 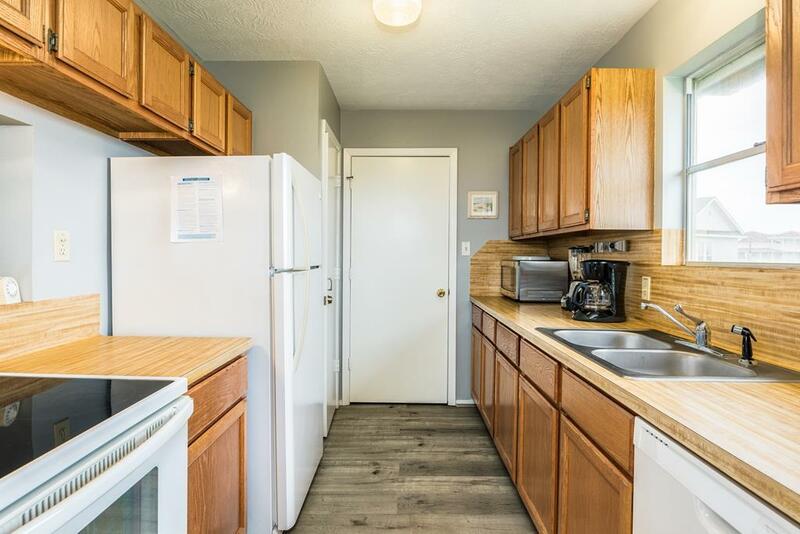 The kitchen has everything you need (and more). It is big enough to be comfortable but not too big to be far apart from each other. Excellent assistance in finding a suitable rental! Appreciated having the emergency items such as soaps, shampoo and conditioner, dishwashing soap and sponge, trash bag, etc! A very nice touch of welcome. This is the second summer we have stayed in the Waterfront Cottage. We wouldn't think of any other place. When we asked the grandkids if they wanted to stay there again, they shouted "YES"!!! We feel very much at home there. It is the right amount of space to be together or find quiet time alone. Better quality of homes and locations. Linens included in pricing. Waterfront Cottage has been our best rental so far based on the location. 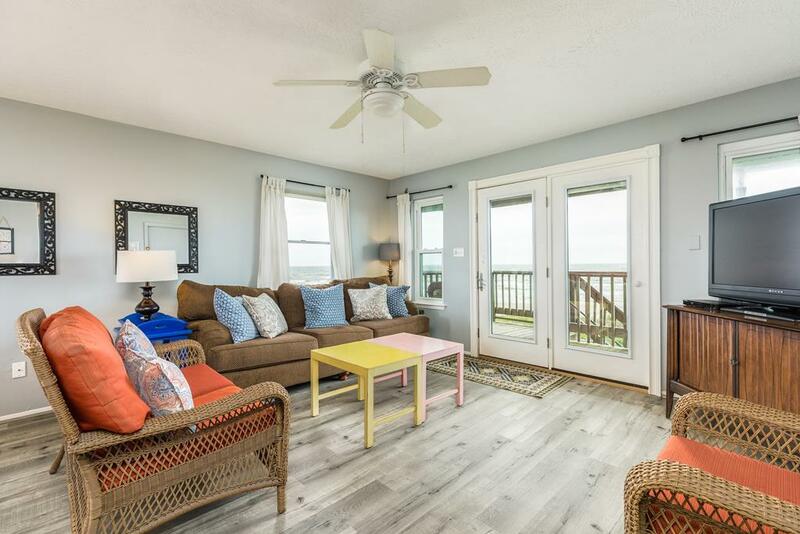 We loved the Waterfront Cottage, a cheerful house with the best beach views and access! Appreciated the extra blankets/pillows provided and the shutters were not only awesome for sleeping but terrific safety measures too. We look forward to visiting again next year! The beds were not comfortable and actually very creaky. 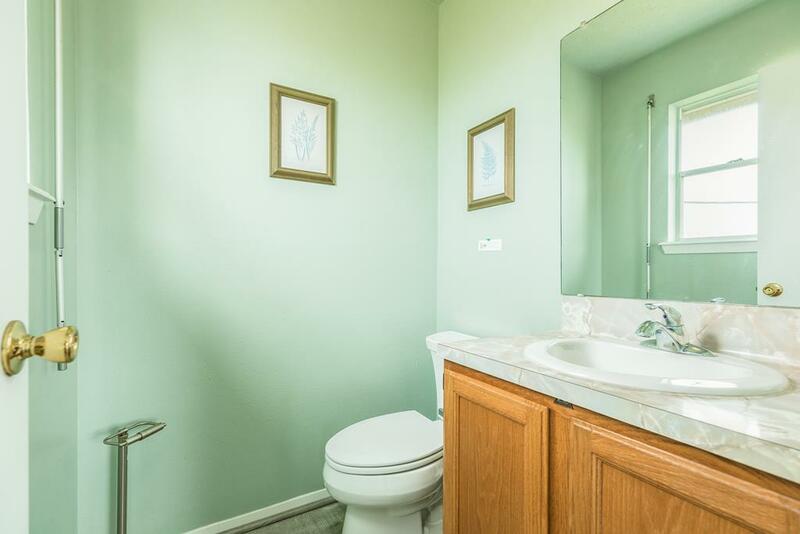 All the furnishings and decor could be cheerier. Kitchen was well stocked. Loved the outdoor shower. The house is right on the water and a perfect fit for a small group of people. Only one tight shower upstairs with no tub for small children. Great heated outside shower. Small house right on the beach. Clean and efficient. Closets very small and no pantry. But, perfect for the long weekend and SO CLEAN! We will be back to this unit again! Storage is an issue. We had to live out of our suitcases with no dressers in the bedrooms. By the end of the week, the house was looking a little rough because there is no storage. I had to move dishes around in the kitchen to create some space for food. You just need to put things away when you stay there for a whole week! Beach access is great and the outdoor shower is amazing when the weather is warm enough! Hello Gossom Family - We are glad you enjoyed your stay at Waterfront Cottage! We definitely appreciate your feedback and are working with the homeowner on some storage solutions for the home. We hope to see you at the beach again soon! Great property. Beach access is wonderful and so easy. Kitchen nicely stocked with utensils, pots & pans, etc. 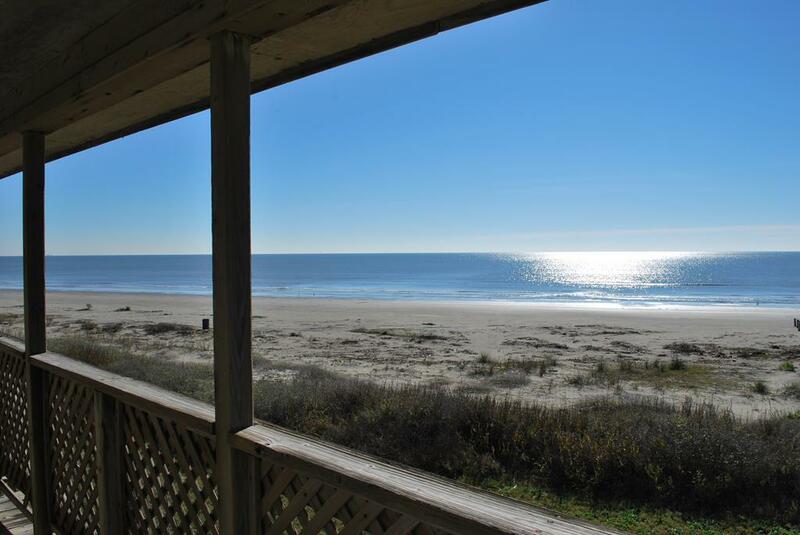 Loved the front porch and the view of the beach. 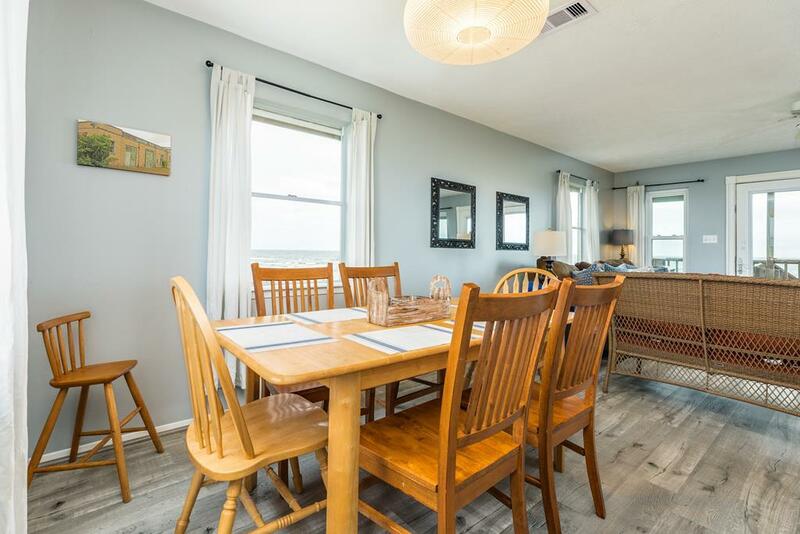 The Waterfront Cottage is just step's from the beach and has great views of the gulf and the beach. We enjoyed our stay and would definitely recommend the Beachfront Cottage. It's good up to 7 people. I liked that we received a call the next day to check on everything. This was our first stay at the Waterfront Cottage. We've rented houses each summer for the past several years this has to be one of the better ones that we've rented. The house was just the right size for us and our dog loved spending time on the deck. The kitchen was stocked with everything you need and the furniture was very comfortable. Great location if you are looking for a house close to the beach, which we were. The neighborhood is very quiet. We definitely will rent this house again. Don't bring dogs or small children here until they kill the sticker burrs in the yard and all the ants. I called. The people who were supposed to spray for ants parked their truck on top of the biggest area. I told them but they were less than interested. Hello Jana - We are very sorry that you encountered anything that distracted from your enjoyment of Waterfront Cottage! We sincerely appreciate your feedback and have discussed the incident with the pest control company. We hope to see you a the beach again soon! Location is great! House and furnishing are simple but nice! Everything you would need in the kitchen! I can't wait to book my next week here! We really enjoyed our stay at the Waterfront Cottage! Cozy and very nice with great location to the beach. 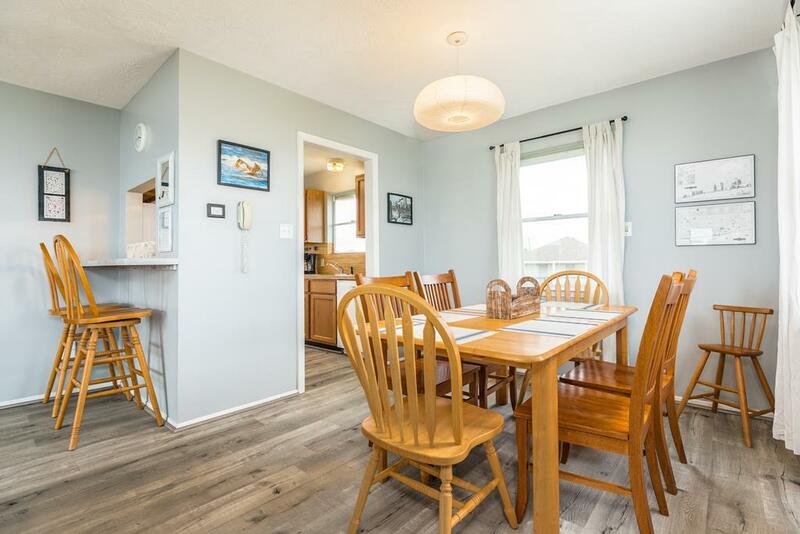 This property was in a great location and perfect for our family of four. The views were fantastic. Small house for a large family (4 adults, 3 children). ONE shower, no tub. Proximity for beach good. Lawn full of burrs for "dog-friendly" house. This is a rather small but very nice, clean, attractive cottage. The location and views of the ocean are truly beautiful. Excellent waterfront property. Ideal 2 or 3 people. I would definitely stay here again if it's available! These guys were more than helpful, and helped us make memories that will last a lifetime! We came to Galveston for a cheer competition. I rented a beach house so I wouldn't have to eat out and I wanted the beach close so that I could enjoy the sand/surf. I was pleasantly surprised when I reached our rental. It wasn't big by no means, but it was PERFECT!! Right on the beach with a pathway at the end of the driveway. The house was clean and had everything I needed in the kitchen. I plan on staying here again and again. Thanks Annie and Kim! On The Waterfront was a retreat for me. Sand 'N Sea was welcoming and made everything easy, from making the reservations and checking in to checking out. They called a couple of times just to be sure we had everything we needed. The beach house looked like the pictures on the website and was extremely clean and well kept. The kitchen was well stocked and comfortable to work in. I appreciated the quiet and the long walks on the beach. Thank you for such a peaceful week. This is a smaller home, but very nice for 2-6 people. Location is excellent, and the Sand-n-Sea staff is fantastic. 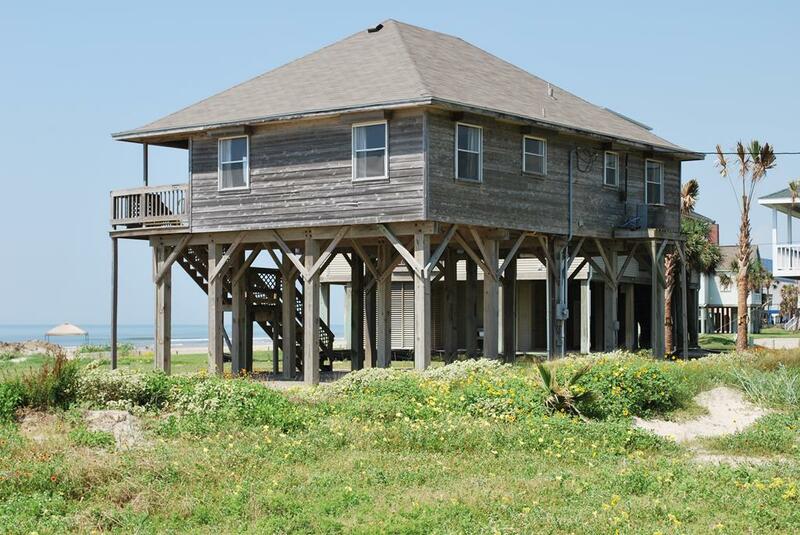 This property has a great view of the gulf of mexico. 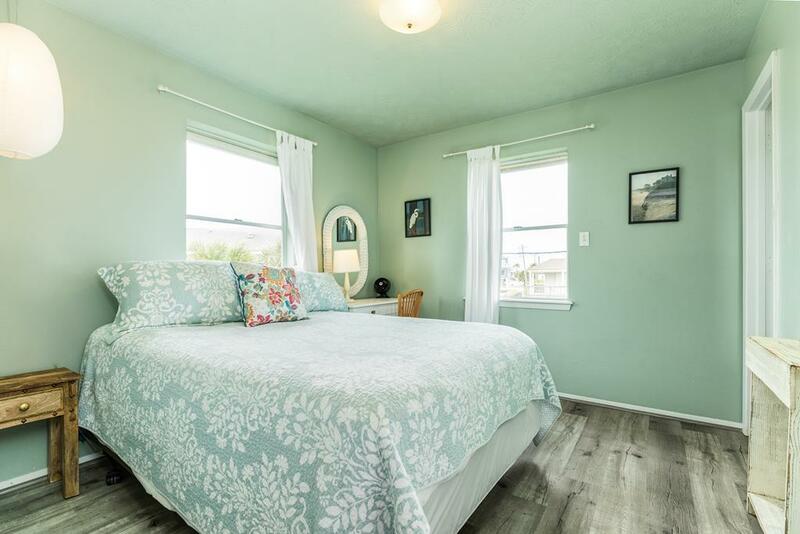 It is within walking distance to the beach and makes it easier when having small kids walk. The home is a bit older then the once around it but has all the necessities you need. I would recommend it for a family of 6-8 people. Very comfortable,awesome location and beautiful views 24 hours a day. House very clean and functional. Not the newest but very comfortable. This is an excellent rental management company who know their business and know renters' needs. 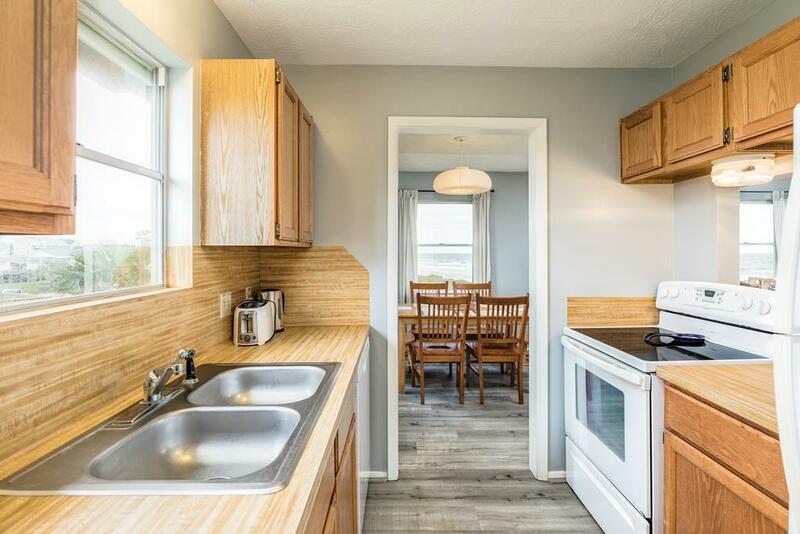 It is an older property that needs repairs whose biggest plus is that is close to the beach.